The Great Moscow Circus is heading to Perth. Proudly brought to you by Michael Edgley, this is a show with amazing acts like you have never seen before. The all new show features the renowned Russian performers, along with many International artists from around the world. Celebrating fifty years of family entertainment, The Great Moscow Circus has a rich tradition and a reputation for bringing together the greatest circus shows in the world. The Great Moscow Circus is bigger, brighter, better and bolder than ever before. A stunning array of brilliant lighting, gorgeous costumes and exciting acts. A program featuring twenty circus acts from Russia and around the world, full of thrills and amusement that will have you on the edge of your seat. Enter the magical world of the big top and be amazed by the skills of the talented troupe of clowns, acrobats, jugglers and much, much more. 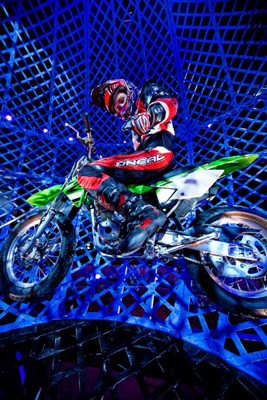 Each fantastic show lasts for approximately two hours and is spectacular entertainment for the whole family. 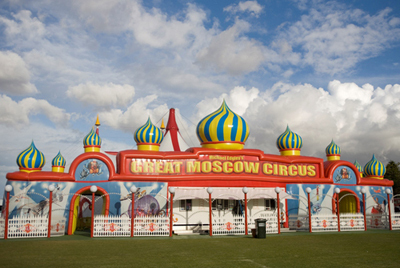 The Great Moscow Circus will be at Langley Park, Riverside Drive from Thursday 20th September, 2012 until Sunday 14th October, 2012. Tickets can be booked on-line through Ticket Direct, or on 0429 667 269 or by phoning 1300 798 550. Ticket prices range from $16.00 to $42.00 for children and $25.00 to $60.00 for adults. There is a Family Pass available for $125.00 (two adults and two children - A Reserve only). For full details including show times and ticket prices visit the Great Moscow Circus Website. Why? The Great Moscow Circus has a rich tradition and a reputation for bringing together the greatest circus shows in the world. We went to see the Great Moscow Circus in Darwin in July 2012. This is a great show, with a lot of hilarious and amazing acts. However, be aware that the circus is intent on making a huge rip-off on drinks and sweets, and you will pay double what you pay in places such as lunchbars, for even basic stuff such as water. In Darwin, once they had you secured in the big top, they were charging $4 for 250ml of water, $5 for small icecreams, $8 for a small bucket of popcorn, and so on. We had to laugh, one Indian lady came up to get a bottle of water, the circus seller said "$4" - and she just dropped $2 in his hand and walked off! The seller just looked a bit stunned, but he never bothered to chase after her for the difference! The show is well worth a visit, though - the clowns are excellent, the contortionists and balance acts are mind-boggling, and the motorcycle cage of death is just amazing! Watch out you don't get picked out for a stunt on the stage - they do some awful things to the audience members they pick out! - particularly the knife-throwing act!